On this day in history, June 2, 1731, Martha Washington is born at her father’s estate in New Kent, County, Virginia. Martha Dandridge was the firstborn child of wealthy planter John Dandridge. As a child, Martha received a basic education, which was unusual for girls in that era. 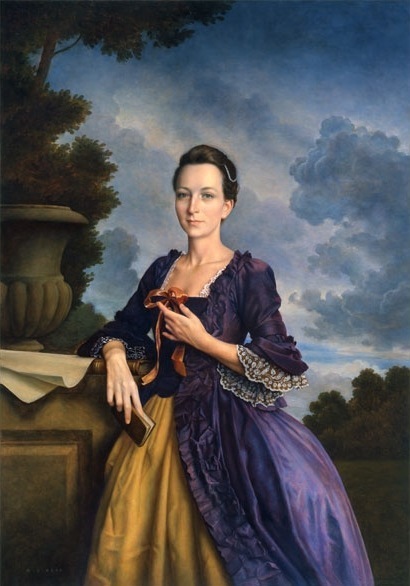 She was married at the age of 18 to Daniel Parke Custis, an even wealthier planter than her father, who was 20 years older than she. Martha and Daniel lived at Daniel’s plantation, which was ironically called The White House. They had four children over the next few years, two of whom live past toddlerhood. Unfortunately, Daniel died in 1757, when Martha was only 26, leaving her in charge of a vast network of plantations covering over 17,000 acres in 5 counties and 285 slaves. With the assistance of her late husband’s business manager, however, Martha learned the intricacies of planning, managing and harvesting the tobacco crop and selling it to London merchants. Martha was also now responsible for her two children, John Parke Custis, known as Jacky, and Martha Parke Custis, known as Patsy, who were only 2 years and 1 year when their father died. Years later, Martha would be stricken with grief because both children would die young. Patsy died at the age of 17 from an epileptic seizure and Jacky died at the age of 21 from "camp fever" contracted at the Battle of Yorktown. 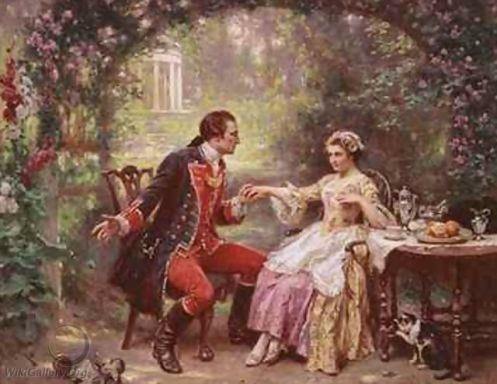 Martha met and married George Washington in 1759. It is believed they knew each other for only a matter of weeks before he proposed and she accepted marriage. The two moved to Mount Vernon with Martha’s young children and began an idyllic life that by all accounts was loving and harmonious. When the American Revolution broke out, Martha spent much of the next 8 years home alone at Mount Vernon, but she did travel to Washington’s encampments several times in the winters where she comforted her husband and entertained the officers and their wives. She was also known for rallying women, especially the wealthy, to give money to the Revolutionary cause and make supplies, such as blankets and clothing for the soldiers. Toward the end of the Revolution, when young Jacky died, he left four children as well. Two of them ended up living permanently with George and Martha. Eleanor Parke Custis, called Nelly, was only 2 when her father died and George Washington Parke Custis, called Wash or Tub, was only 6 months. Since Martha’s children were all now dead and since George and Martha had no children of their own, they raised Nelly and Wash as their own. Martha was a very private person and did not enjoy the public attention when her husband became President. She lived with him in New York and Philadelphia, where the capital was then located. She entertained guests and dignitaries with lavish dinner parties, but this was a duty to her and not necessarily an enjoyment. After Washington’s presidency ended, Martha hoped to return to the quiet life at Mount Vernon, but a steady string of guests constantly arrived to visit her husband. When Washington passed away in 1799, Martha was grief stricken and was known to frequently say how much she missed him. When her own death neared less than 3 years later, Martha burned all the letters ever written between herself and her husband. Only two letters between them have survived. For this reason, very little is known about the personal relationship of the first President of the United States and his wife, and this is exactly how the very private Martha Washington intended it.